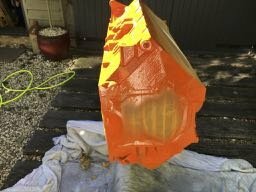 The colour is Tractor Orange! More to follow....... starting the build. Last edited by fabphil; 26-09-18 at 04:38 PM. The cam wont fit in the new cam bearings so the cam tunnel needs honing. At least you know what needs doing to the engine. Now all you need do is get better, trapped nerves are a complete bugger and happen when you least expect it so hope your recovery is quick, but as you have probably been told, just take it easy. Good luck. Orange? On a FORD?!? is that even legal? Finally got off my arse and got the block to Serdi in Uxbridge to have a look at the cam fitting problem. They looked at the block and said sometimes the cam tunnels are under sized so will need honing out. Also looked at the bores and said "Have these been honed?" 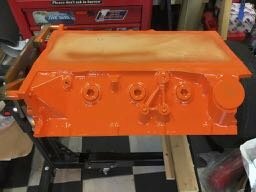 Well I paid for a finish hone to 4.390" when the block was sent over. After measuring with an internal mic, turns out the finish hone had not been done, another £160 to find. 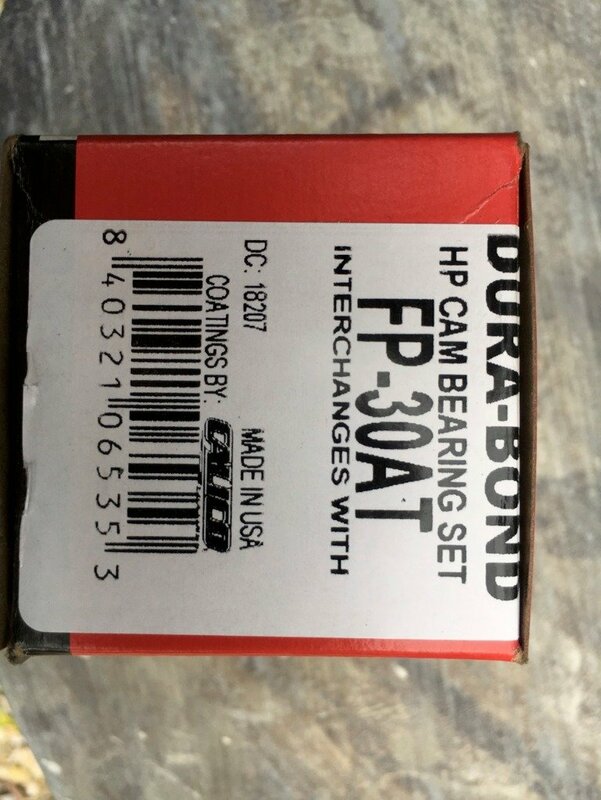 Serdi are ordering me some wider cam bearings from Dura Bond. This is a common tweek in the Ford racing world. 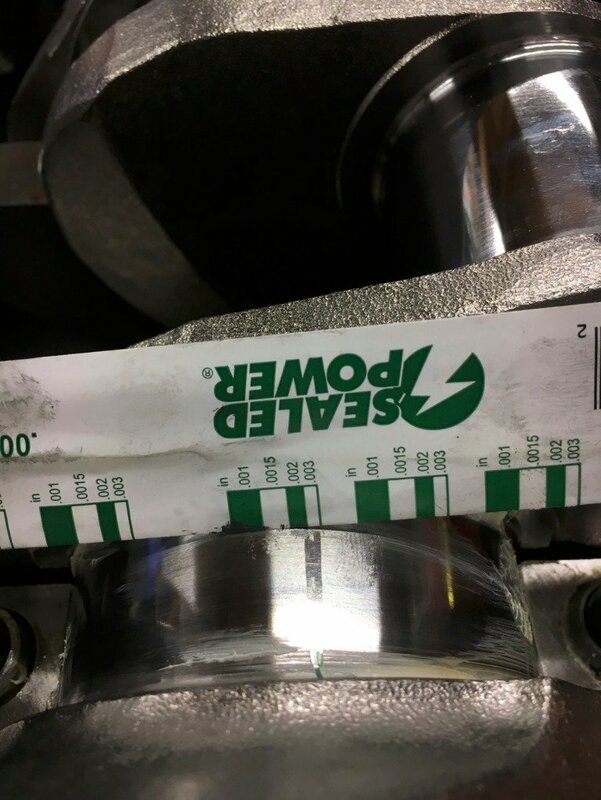 Gives a 0.80" wider surface than the standard bearing to spread the load, particularly on the front bearing that takes the load from the dissy and oil pump. 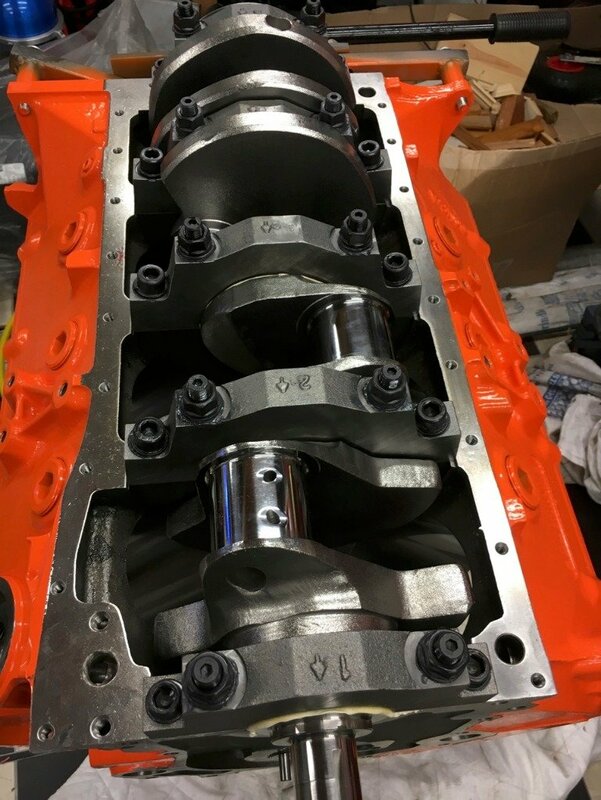 All the bearings on a BBF are the same diameter and do not get smaller as they go back in the block like a lot of engines. Just waiting for the final bill! Pointed out things that I would have no experience with. They are sorting out the new bearings etc. Can't wait to get started on the actual build. 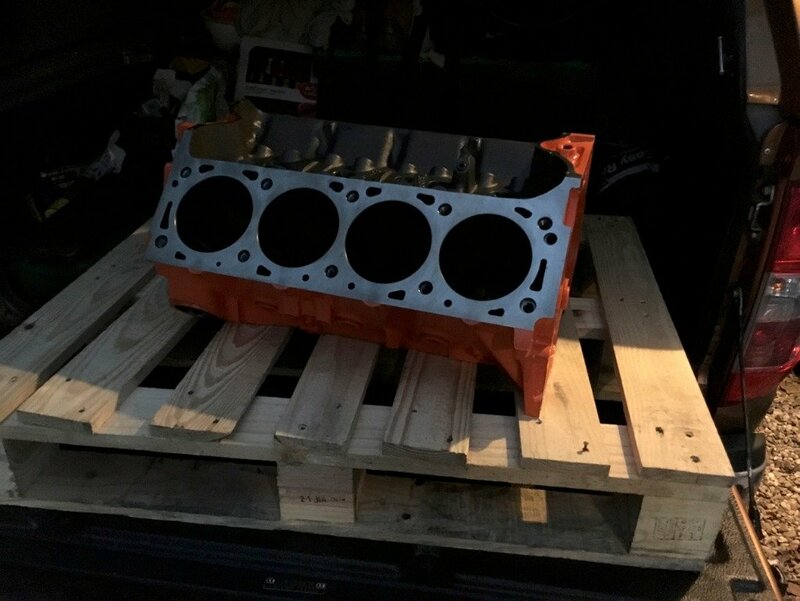 The block is back from Serdi. Have to say Matt there is a top bloke. The cam tunnel was at the low end of tolerance so got honed to spec. He also pointed out the "finished hone" I'd got from the States was a bit rough. 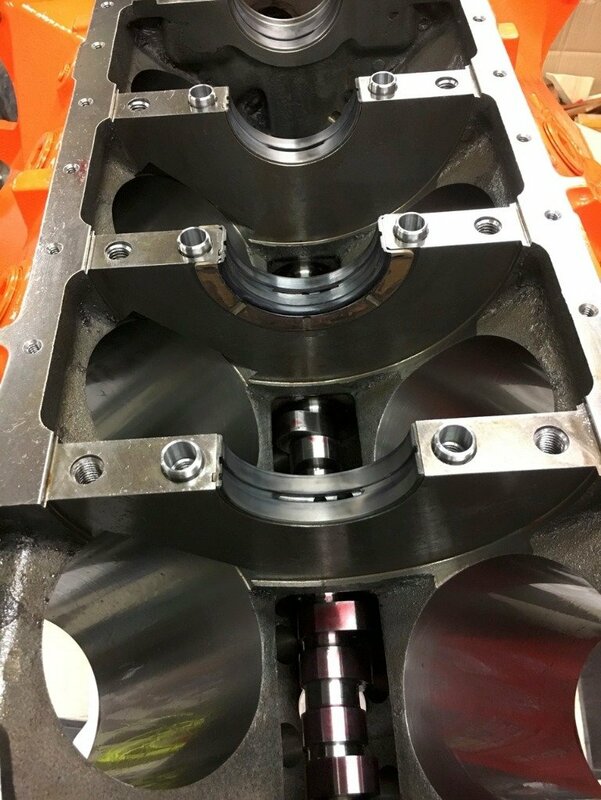 I dropped the pistons down to them and they did a finish hone for me to the correct size. 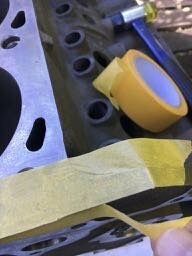 He said there was 0.001" clearance originally so the pistons would have fitted OK then the engine would have seized solid after about 2 minutes. As Serdi a Dura Bond bearing dealers they managed to get me a set of the wider bearings for a BBF. The cam now has more surface area to sit on and spread the load better. 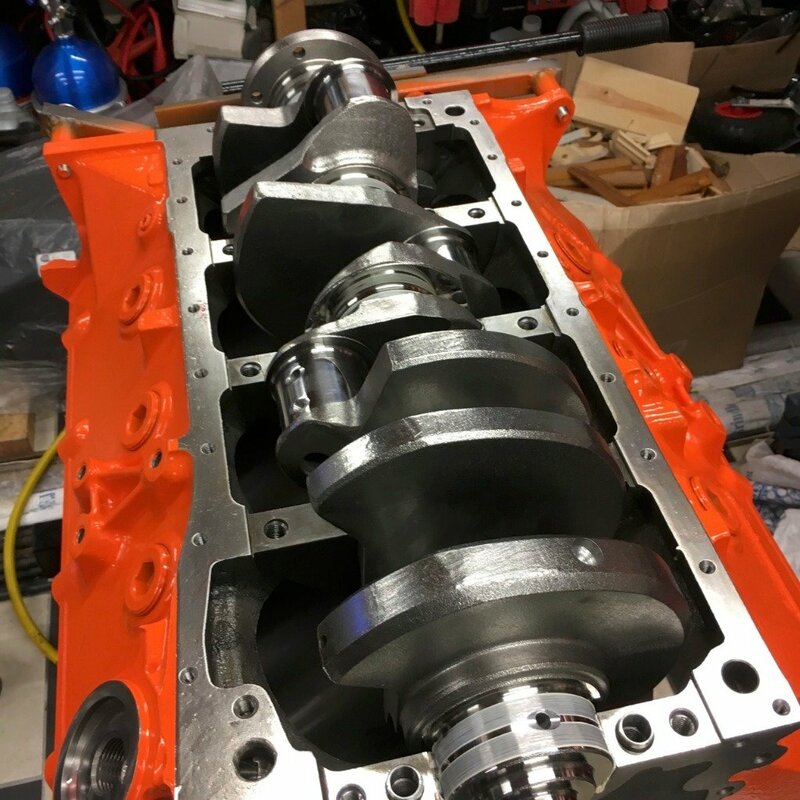 Particularly on the front bearing as it takes the distributor and oil pump drive. Only problem now is to clean it all down again before I can continue. 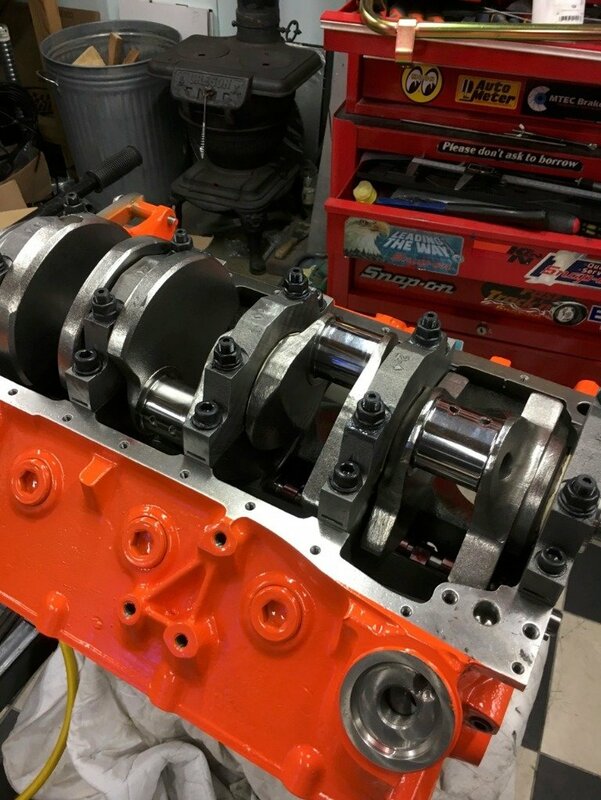 Lower King coated racing main bearings being installed. Bearing tolerances checked on No's.2 & 4 saddle. 0.003", spot on. All main caps on. Crank spins beautifully. Last edited by fabphil; 26-12-18 at 07:48 PM.